The open call jury, Tuula Alajoki (Backlight Photo Festival, FI), Miha Colner (International Centre of Graphic Arts, SI), Ângela Ferreira (Photographic Museum of Fortaleza, BR / PT) and Tina Schelhorn (Galerie Lichtblick, DE), had the honor to nominate three Finnish artists for the Majaoja Prize at Backlight ´17. 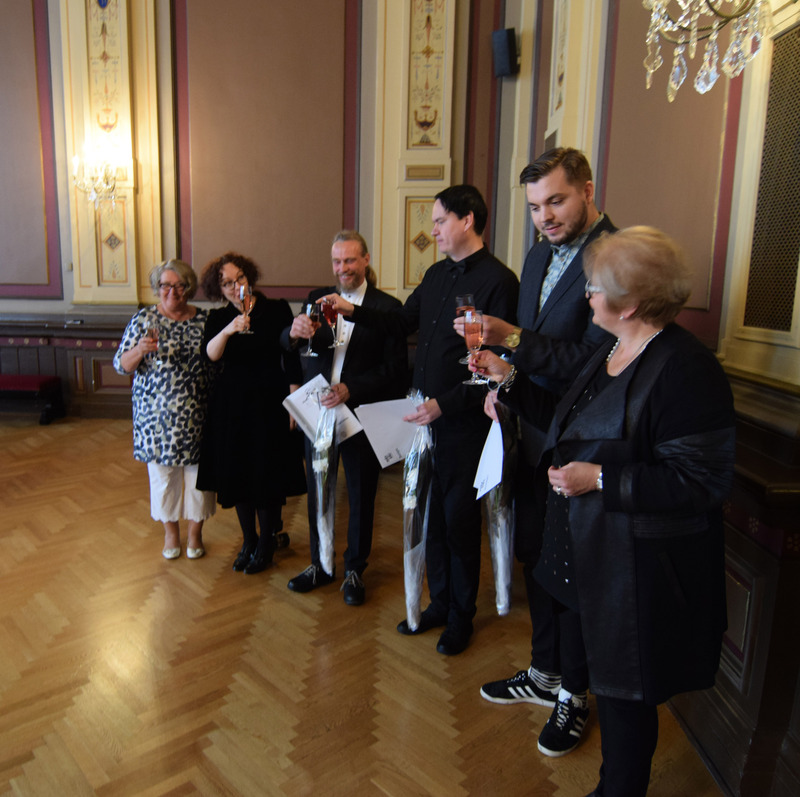 The awarded artists were selected among the Finnish applicants for the 2017 event. The generous award of 18.000 euros in total was given by the Majaoja Foundation to whom we would like to express our sincere thanks. Maija Ikonen and Ritva Tiainen from the Majaoja Foundation were announcing the awards at the 30th jubilee reception and awards ceremony at Tampere City Hall. Clip from the ceremonies by Pauli Hokkanen here. The awarded artists are currently exhibited at Tampere Art Museum as part of the Boundaries of Independence exhibition. A group exhibition of the Majaoja Awarded will be presented at Northern Photographic Centre in Oulu, later on the year.